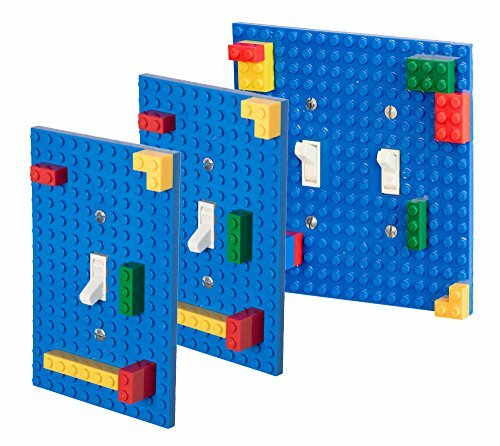 This set includes two single switch plates measuring 3.5" x 5.25", and one two switch plate measuring 5.25" x 5.25". Please note that great care should be taken during installation as there can be a risk of electrocution. Always ensure that all electricity has been turned off from any light switch prior to installation and always take precautions to prevent danger. In addition to Amazon's standard Return Policy, as the manufacturer we offer a full refund or replacement guarantee for 1 (one) full year. If you are ever not satisfied for any reason, please contact us directly. Thank you for choosing Strictly Briks.